Alex Adam Podiatry has been committed in providing the highest level of podiatric care for 30 years. Our caring team of podiatrists are experienced and skilled across all podiatry disciplines. Each having their own special interest areas, that combine to ensure the very best possible standard of patient care. We pride ourselves on our commitment to ongoing research and education. With quality and evidenced based podiatry treatments at the core of our practice, with positive treatment outcomes. 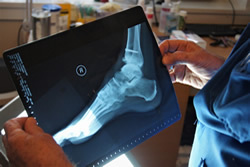 AMA Podiatry has become an integral part in health care of all Victorians. Having worked extensively in the sports area over the past twenty years Alex is fully conversant in the mechanisms that result in sports injuries in most sports. With over thirty years of experience in research, casting and manufacture. 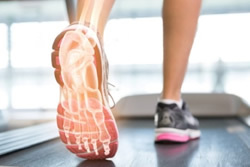 We have a large range of orthotics to suit adult, children and seniors that are designed to treat postural and joint pathology. We provide accurate evaluations, diagnosis, treatment rehabilitation, prevention and management in relation to structural and musculoskeletal conditions. We consider all treatment therapies to ensure an accurate treatment plan. Alex Adam & AMA are the chief consultants for pediatric podiatry for the City of Kingston Maternal Health for the past eight years. 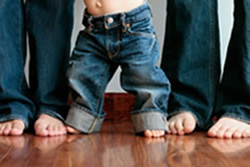 Our team of caring podiatrist have helped many concerned parents in regards their children’s growth and development. Where conservative treatment of ingrown toenails fails to relive pain for an acceptable period, nail surgery should be considered. We believe sound foot structure is the foundation for a healthy life. 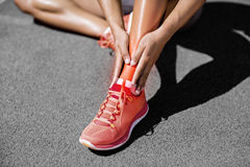 Quality foot care is important to your health and well being for people of all ages.